Based on the National Science Foundation’s I-Corps™ program for Lean Startups, ICAP (Innovation Commercialization Assistance Program) helps inventors and entrepreneurs take the right first steps in bringing new technologies and innovations to market. ICAP includes FREE introductory training and counseling offered by ICAP instructors and local SBDC business advisors. ICAP helps startups identify potential customers and develop successful business models based on that knowledge. It is an ideal program for early-stage companies trying to prepare for eventual venture investment. Learn what it takes to land early-stage funding today. Use customer input to build products. Build "ground up" business models that investors demand. Form partnerships to accelerate growth and make the most of early investment dollars. February 25, 2019 – Applications are due by midnight; apply by clicking here. March 1, 2019 – Acceptance notifications and communication with next steps and instructions, including how to prepare for the first session. During this program, there is extensive work done outside the classroom. In addition to the two class meetings, participants should expect to spend another 10-15 hours per week on customer discovery and course assignments. This program is designed to generate maximum impact over a relatively short duration and should be considered a required first step for anyone interested in commercializing a technology or product, whether through a startup or licensing arrangement. What Happens after the Short Course? Discovery Never Stops! Teams are required to attend monthly check-ins with their local SBDC counselor to provide progress updates and receive ongoing guidance. At the conclusion of the program, you will remain connected with your ICAP trainers and SBDC Business Advisors to continue your progress. Some graduates of this cohort may be eligible to apply to NSF’s full National Seven-week I-Corps Program which includes non-dilutive grants for customer discovery and prototype development. Additionally, this program can help teams develop better submissions for SBIR and CRCF grants from Virginia’s Center for Innovative Technologies. 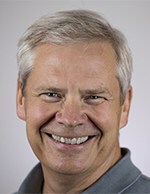 Bob Smith is Director of the Innovation Commercialization Assistance Program (ICAP), a program funded by the Commonwealth of Virginia and administered by George Mason University and the Virginia Small Business Development Center Network (VSBDC). Here he helps researchers, inventors, and technology startups develop their technology commercialization and technology business startup efforts. He’s also an instructor with the NSF’s DC I-Corp Node, and co-director of the Fed Tech program, which uses Lean Startup methods to assist inventors from government labs to explore the commercial viability of their inventions. Bob has 30+ years’ experience in innovation and entrepreneurship. He is the Chairman of CollegeFactual.com, a leading college rankings website. He’s held senior management positions at Congressional Quarterly and America Online in sales, marketing, and new product development and was the founder and CEO of the first nation-wide online city guide, Digital City. As an executive, angel investor, and advisor he has helped companies in e-commerce, e-government, identity management, content publishing, geospatial analytics, data science, and local media go from launch through to favorable exits. Bob received a BA from USC and his MBA from GWU. He is a veteran of the US Navy.